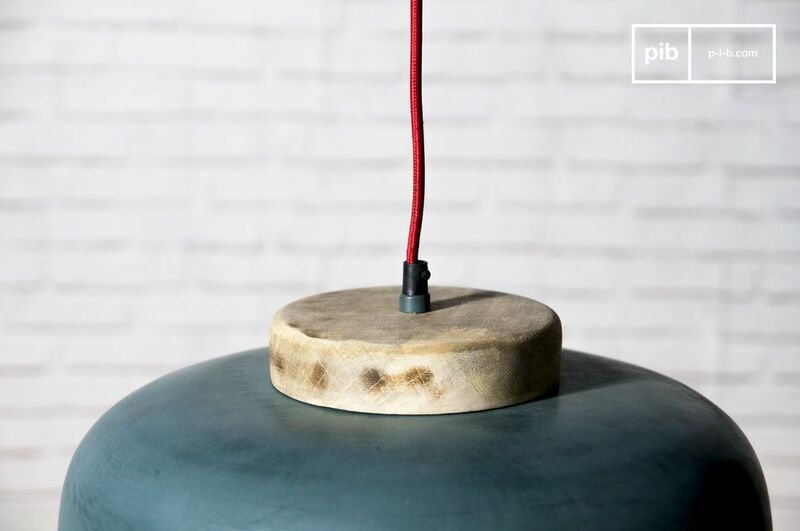 With its lightly patinated blue gray colour and its thread wrapped in a red textile braid, the hanging lamp Blue Mary will bring style and colour to any room. The interior of this scandinavian lighting is white for maximum light diffusion. 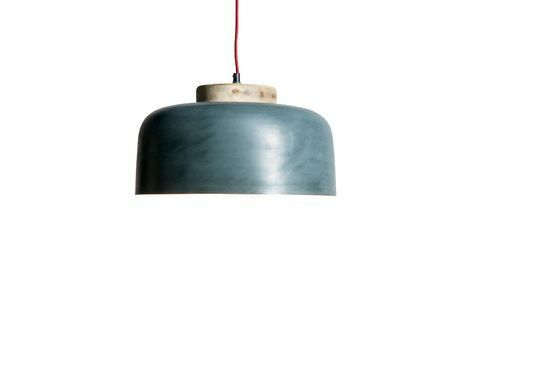 The lamp is provided with a natural touch by a solid wood disc and a shade made of metal. 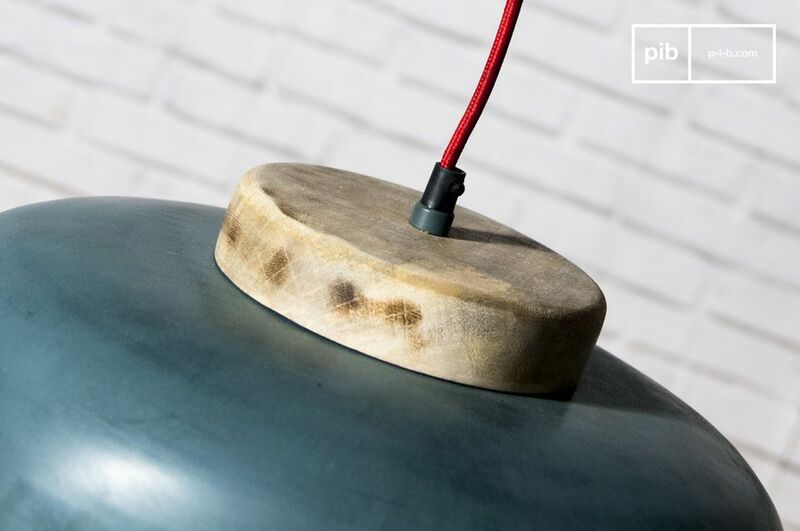 It has the same roundness as the metal bell and displays a clear tint for an aesthetic contrast with the blue patina of the rest of the lamp and with the red of the power cord. 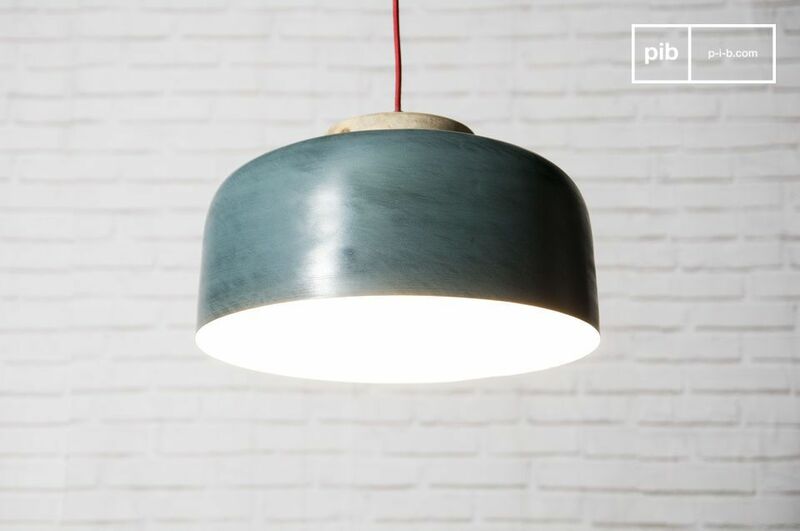 This light operates with an E27 type screw bulb with a maximum power of 40W.